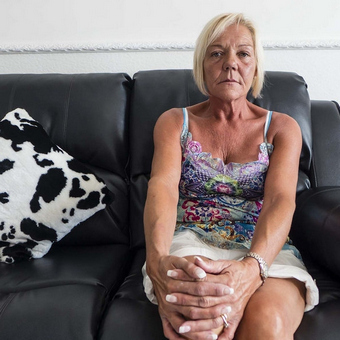 Carol's chosen object was a casket containing the ashes of her son, Carl. 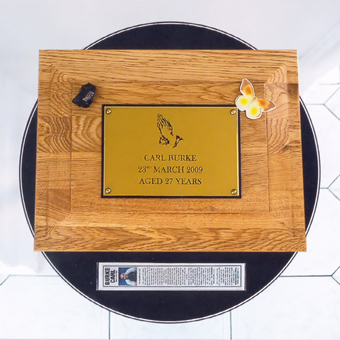 The casket is prominently displayed in her living room beneath a large photo-portrait of Carl; the physical proximity of her son's remains is a comfort to Carol. 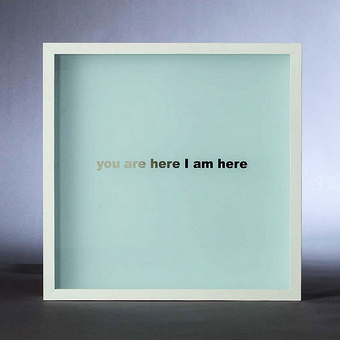 The mirrored text of the artwork can be interpreted as a voice - either that of oneself speaking into a mirror, or that of another person speaking from another place. The ambiguity of the words and the light-filled void beyond the glass simultaneously blur the distinction between distance and proximity.